While looking at this page we have to remember that there are a lot of wonderful law enforcement officers out there, but then there are the other ones who are constantly in the news. Do law enforcement officers have a license to inflict unnecessary pain & suffering or kill our precious pets without fear of consequences? This page is dedicated to the many families and furry little victims who suffered at the hands of those who are supposed to protect and serve. We sincerely hope that compiling a list of these victims will help people to understand how widespread the problem is and that they will join the effort to initiate strict guidelines and consequences for all "officers of the law" and local officials who abuse their power. The abuse of power and departmental cover-ups must stop! *This page is still under construction and this is not a complete list. "A Mobile police officer is being punished after a shooting incident left one dog dead and another wounded in their owner’s fenced backyard, according to officials." "He shot her when she was walking away...shot in the back." 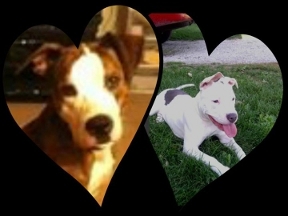 Apollo was shot in the head by a cop in his front yard, in front of his family, including a six year old child. "The dog barked at the approaching officer through the cracked window and the dog was fatally shot; Jones was not in the vehicle at the time of the shooting." Arzy Kenzington - Sulphur, Louisiana - "He (the cop) would rub the dog's back and then push him away. All of a sudden, he just jumped down and shot the dog in the head." "The owner of a dog that was shot and killed by a Fort Lauderdale Police officer is suing the cop and the city seeking damages." "The initial police investigation was immediately closed by the responding officers; but was re-opened two days later"
The officer pulled out his gun and walked down the street, Bella was up by the house - not even near him. The video clearly shows her moving away from him, he walked toward her and shot her twice. Dog shot 7 times "Not only did Bella die from her injuries, she died slowly." "There was no reason that his first recourse would have been to use deadly force," Gregory said of Calhoun. Belle was the "sweetest family dog you could ever hope to have, who is also a really good watchdog." The neighbor said the dog "casually" walked passed several deputies before being shot. "There was no reason, it was just that quick," he said. "A South Texas police officer has been fired after a grand jury declined to indict him for shooting an arrow into his neighbor's cat." "Woman injured by bullet fragment when cops shoot dog at Port Orange home "
"Royston Police Chief Donnie Boleman issued a statement after the shooting that Reynolds was not acting in his official capacity as an officer in the department, nor was he within his sworn jurisdiction." "His death is tragic enough on its own, but the fact that he was the 7th dog killed by the police department this year shows that the officers not only need training, but a clear policy that encourages non-lethal dog handling techniques. " 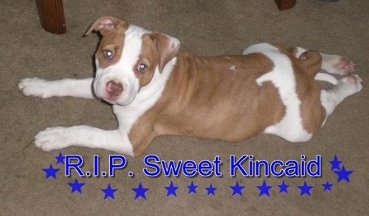 "Sweet Staffordshire Bull Terrier mix was shot by police 9/5/14. Officer forced Bruce to lay bleeding for an hour before his family was allowed to get help." "Bubba was killed on Sunday, when one of several police officers investigating reports of gunfire in the two hundred block of Earl near downtown Las Vegas got into his backyard instead." "Representatives at the Paws 2 Help Clinic said they've taken in at least three dogs recently who have been shot by police. They said the key is to get the bullet out as fast as possible." "Witnesses said that on Saturday night Buddy was on the front porch when officers arrived. When officers approached him, he ran to the side of the house, where he was shot twice, witnesses said." 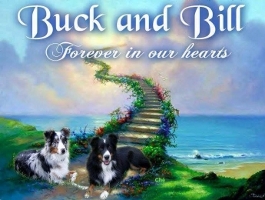 "PBSO deputies shot and killed three (3) beloved dogs after trespassing onto THEIR gated property." "Officer Responds To Dangerous Dog Call, Comes Home With New Best Friend"
"A federal case involving a LaGrange, Mo., police officer who fatally shot a man's dog has settled in the plaintiff's favor for $50,000, the man's attorney said." "They indicted him within two weeks," Schulte said. "That never happens." "Terry Taylor says police told him they were chasing someone, and wound up in Taylor’s backyard at 59th and Martin Luther King Drive. 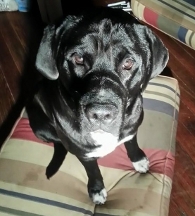 Officers opened the gate, covered with a Beware of Dog sign, then shot dead the 120 pound Italian Mastiff named Castro, who was outside at the time." "That's when I said 'Don't come in' and he just went ahead and went in the fence," Wickham said. Police claim that the owner of a grow house granted them permission to search the house when asked and then suddenly the dog attacked. Shot by a cop in his own yard. 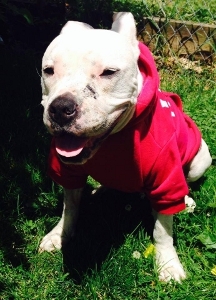 "As for Cody being vicious, he's been a great dog since being at Hope Animal Rescue. He wags his tail and allows the vet to treat his injured leg. Despite being scared and in pain, Cody has done nothing more than growl. Since he hasn't shown any signs of aggression, Cody isn't muzzled to treat his wound." "Pasco County sheriff's Deputy left his patrol car outside the gate at a home and climbed the fence." "I saw these cops and I told them I didn't know the person they were looking for,"
"The deputy shot De'Ja in the back, and her legs went flailing in the air"
"A beloved family pet is dead at the hands of a local police officer"
“No steps were taken by DeKalb police whatsoever to try to save my dog’s life,” he said. “The dog was still alive, clearly bleeding like crazy and the police officer blocked my exit,” Theall continued. Neighbors like Garrett Rae saw the incident and say they don't think police needed to use such force. "It just makes me upset when you see someone in that position abuse their power," Rae said. " That dog was whimpering on the ground and he took another shot." "Police dash cam shows dogs attacking officer during traffic stop"
Stewart, Florida Police Officer Joe Calderone deserves an award! “They let my dog lay there and bleed to death"
"Children were watching which yelled for him to stop after shooting poor Ford 2 times but he decided to fire 2 more times." " Ford, an 11-month-old pit bull, was killed Tuesday night "
" Deputy was responding to a call about a barking dog"
Shot and killed by cop in his own fenced in back yard while the cop was searching for the neighbor's toddler. The child was found in his own house! "Couple Says Cops Climbed Through Window Without Warrant and Shot Their Dogs"
"Green says that a videotape shows that the dog did not threaten or lunge at the officers"
Shot by cop in front of the children, then the cop said,"Its OK, Im a cop." "He did not just shoot my dog, he unloaded his gun on him! Cash had SIX visible gunshot wounds!!!! There were a total of 9 shots fired!" "Stuck Dog Becomes Cop's Best Friend"
"Witnesses stated that the dog was barking in her own yard when the officer approached. The officer knelt down and the dog approached. According to the witnesses, the dog did not exhibit signs of aggression at any time. 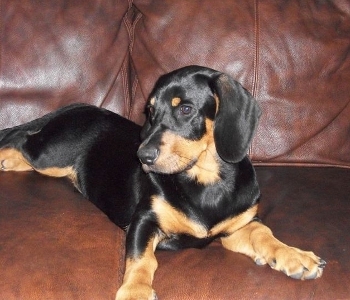 They state that she was merely barking when she was shot in the head at close range." "The suspect pleaded with the officers over and over to let him put the dog inside, but they refused. Not a single officer tried to grab the dog or let him back into the house, the officer chose to fire his weapon through his right nasal passage, through his hard palate and tongue, exiting through his neck. Witnesses stated that the year old pitbull was doing nothing wrong." "If this had been a dog shooting involving a private citizen, charges such as criminal trespassing, felony cruelty to animals and disorderly conduct would likely have been filed against Kobi's killers." "The officer said 'It's a pit bull, he's going to attack.' The dog was standing perfectly still 15 feet away from him. He said 'Well he's a pit bull, he's going to attack' and he shot,"
"The cop used his own personal hunting rifle to kill Kody. The Sheriff's Office found the killing justifiable and no compensation, or even an apology, has been given to me since the horrific event." "Family gets $333,000 for 2009 raid in which cops killed dog"
Cops shot dog in her own yard while looking for a man at the wrong house! "The officer just pulled out his gun and shot her three times while I had a hold of her "
"Bammel said residents are disturbed the animal control officer “dragged and threw” the bleeding animal in the back of the truck and left it to “bleed out.” He also said police reports indicate the dog was shot five times but necropsy photos supposedly show 15 wounds." "The video with this article was found on the wall of Chuck Jay on Facebook. Witnesses can be heard in the background stating Lola did nothing to deserve being shot." "After talking to the media one of the responding troopers finally called us. He said that they had shot Lucy and killed her"
" It was my job to bark at strangers and let mt daddy know that someone was here." Shot in front of his owner while he was screaming "Don't shoot my dog!" " As officers got within 30 yards of the house, police said, the two pit bulls, Max and Kast, ran out an open front door and began barking and charging." "I'm coming out of the house, I just got out of the shower, to go get my dog and I'm opening my door and I see a female cop. And she shot between five and six rounds at my dog,"
Police entered through a six foot privacy fence, shot and killed her in her own yard and then denied her medical attention - due to a false bite report. "They came into our yard without warning and didn't attempt to use any other means of force." “I didn’t think I would see that again. You see it in Iraq — and then you see your best friend here get shot,” said Vester, a Marine Corp. sniper, who says he got Mongo, a certified emotional support dog, to alleviate stress after returning from combat. "Monkey wasn't jumping on him or anything. Four times he shot and the bullet went in. Others said they heard more shots"
"Jamey called the Plymouth County Sheriff’s Office to report the pool of blood — not thinking it was Morgan’s." "One of them said that he was going to kill that ***** dog,"
According to witnesses, the cop was talking about killing the animal as he got out of his vehicle. "I'm going to [expletive] gut this thing," witnesses heard him say, according to the charging document. Cops shot him in his own yard. The person they were looking for hadn't been there in over a week. "Police are reviewing the fatal shooting of a dog that occurred in front of four people Sunday, almost in the line of the officer's fire, according to witnesses." 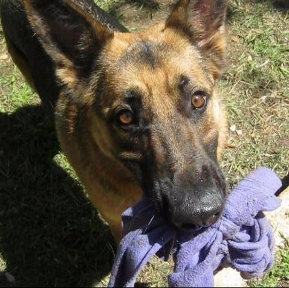 "LaPorte Texas Police Officer Shuts Down Highway To Save Dog"
"Odin took two bullets while in his own yard and died in the hands of his family while the smoke was still clearing from the barrel of the deputy's gun. 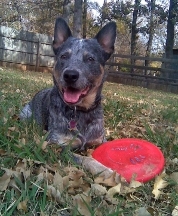 Rest in Peace sweet Odin"
The neighbor reportedly told them, "'Be careful. It’s a big dog.'" Then he heard two shots fired. "They walked into the backyard with the guns in their hand. Then they ran from the backyard like they were scared or something." She was only one year old. Cops shot her once in the chest and twice in the back. "She called 911 Thursday because she thought someone broke into her house, instead of getting help from police though, she ended up with a dead dog." "A Freeport police officer responding to a call for help ended up shooting a dog -- a dog that was just helping his deaf owner." Cop shot him while he was in his own fenced in back yard. Although he was a very friendly dog his owners had even posted a "Beware of Dog" sign but the police chose to ignore it and entered the yard anyway. "With no warnings before, and no communication after the shooting, both Rodriguez and neighbors want answers." 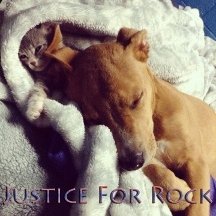 "Ruby's owners immediately questioned the police officer why he shot her. The officer did not respond with an explanation. 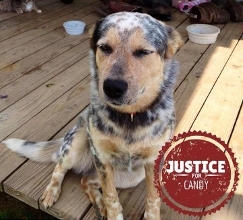 The officer became belligerent with Ruby's owners and even threatened to shoot her again." "The Sheriff, an officer, and the Sheriff's ex-wife had stopped by early on 1/27/13 screaming to my husband that he was going to shoot our "f***ing dog"
Saved by appeal, Sam is home! Shot and killed by cop in his own yard. “He wasn’t running, he wasn’t growling, he wasn’t barking. He was not lunging,” says a witness who saw the shooting." "He told my little sister you better shut up before I shoot it again," Nellie claimed. "This man acted like he did not have no mercy. He did not care." "Police report Skye jumped up on a patrol car and tried to attack people. This is impossible, says her owner, because Skye suffered a stroke and was paralyzed on the right side of her body. This poor dog couldn't even jump up on the couch at her home." "Both officers approached him rather physically grabbed on to him the dog kind of got back on his hind legs a little bit but the leash was still taught. That's when the officer pulled out his firearm and discharged"
Cops claim that they when they knocked on the door the dog unlatched the door, opened it and came out. Then of course they used the typical "vicious dog" story to justify shooting him. "Minneapolis police officer shoots and kills man's dog and blames it on car thief"
"He never identified himself to any of us as a police officer, and after the second shot, people were grabbing their kids, running for their homes," he recalled. "Police Officer Stops And Saves The Life Of Distressed Dog Who Just Lost A Friend"
oops wrong house, ooops wrong town! "Eventually, after some 20 to 30 minutes of trying to kill the dog, Tewes used a hobble, which is like a metal cable, to try to strangle the dog." "And there was nothing done to use anything but lethal force. The dog didn't have a chance and the man needed help. They didn't do anything to subdue the dog,"
"It was a quick decision Mulligan says the officers are trained to make." "We found between 2009 and 2011 the department totaled 15 shooting incidents --with only eight of those being against animals." "The officer who was standing over here shot [the dog] and shot her again two more times. The force pushed her, and that's when she landed right over there with me." "An officer with the Jacksonville Sheriff's Office was suspended late 2014 for allowing a woman to drive his police cruiser on two occasions to a Southside Hooters. Friday afternoon he was back in the spotlight, this time for shooting a dog"
"Once out of the truck, the dog ran aggressively toward police. " " the incident started when a man carrying the dog when the dog leaped and began biting the horse’s legs "
"Officers then shot the other dog even though it was not biting the police dog. The K9 was not seriously injured in the attack. " "Off-duty New Smyrna Beach cop shoots and kills pit bull after it goes after his dog and lunges at him "
"Some residents living in the area say it wasn't necessary for the officers to shoot the pet, but police say they had no choice." "The Stryker Police Department is under investigation for allegedly killing cats and dumping them in the Tiffin River." "In a very rare case of a dog shot by police, this new case has brought some justice to the dead dog, and the officer involved now faces a charge of intent to kill an animal." " Four young children were inside a West Side house Friday afternoon when police executed a search warrant during which multiple shots were fired and a pit bull was killed."